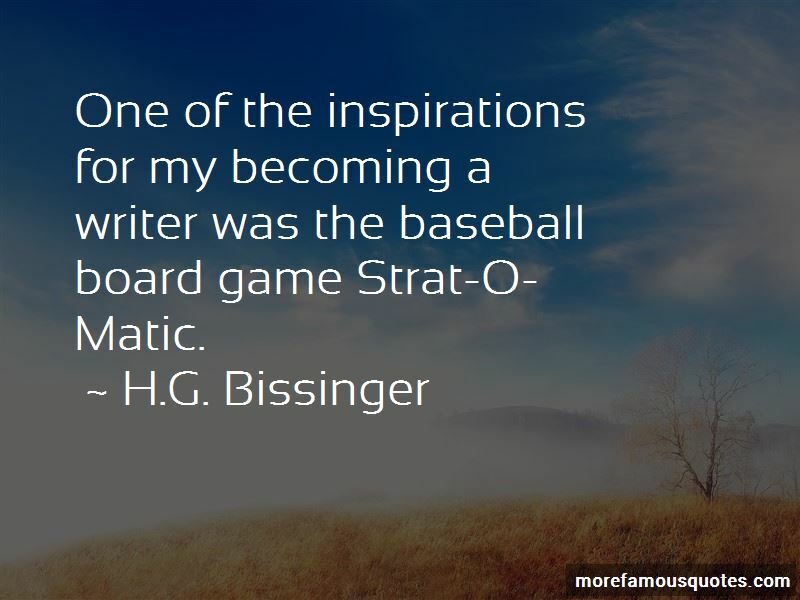 Enjoy the top 33 famous quotes, sayings and quotations by H.G. Bissinger. I'm gonna party, see how intoxicated I can get and how many rules I can flaunt. That's my motto. Because Cards' fans are the most knowledgeable and loyal in all of baseball, they booed almost reluctantly, polite as booing goes, what would have passes as a standing ovation in Philly. He realized that he agonized over everything all the time, and he admitted that part of the problem in the Carter game had been his own lack of belief in his abilities. He knew the reason why he was like this, that it was the price he paid for carefully watching out for himself ever since he had been a little boy. 'I've never taken a chance in life,' he said. 'I need to run in front of traffic bucknacked and get arrested. 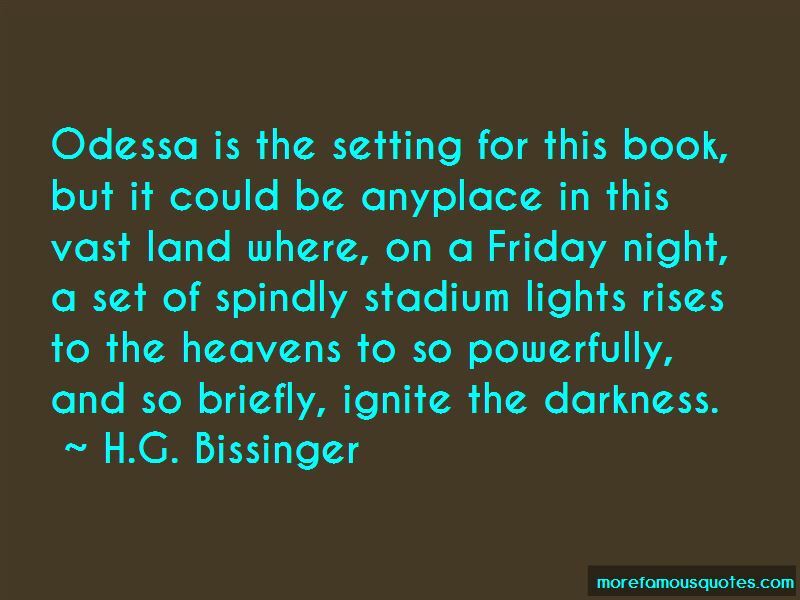 Odessa is the setting for this book, but it could be anyplace in this vast land where, on a Friday night, a set of spindly stadium lights rises to the heavens to so powerfully, and so briefly, ignite the darkness. Want to see more pictures of H.G. 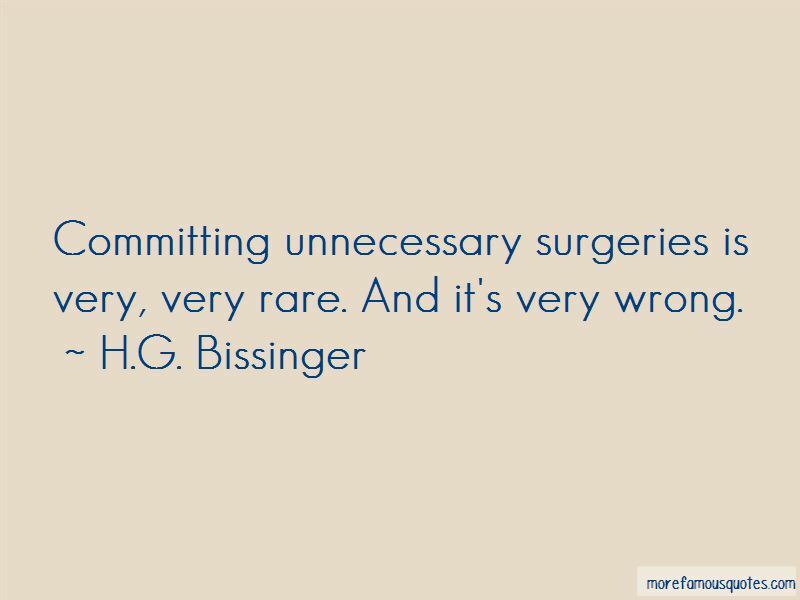 Bissinger quotes? Click on image of H.G. 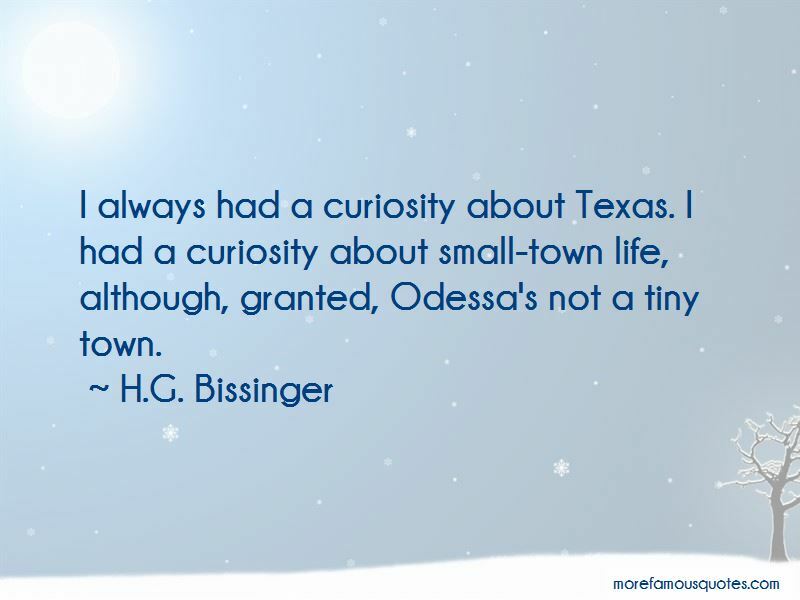 Bissinger quotes to view full size.